Acid reflux is the back-flow (or reflux) of gastric acid that comes from the stomach, which then meets the esophagus, causing what is known as heartburn. What can Acid Reflux do to your Vocal Cords? Acid Reflux disease can cause your throat to become very sore. The throat pain occurs because stomach acid leaves the stomach and rises to the lungs and the esophagus. In this instance, the acid gets mixed with saliva and can affect your vocal anatomy and could cause you to lose your voice. This can also cause symptoms like shortness of breath. This is due to the body trying to compensate for voice degradation – caused by gastric acid reaching the vocal cords/folds/box. The reduction in air-intake, due to the above, then causes your vocal cords to strain. With that said, if left untreated, the risk of vocal cord damage rises, followed by potential voice damage or permanent degradation of voice quality. In this instance, your voice may sound deeper and it may have a thinner projection rate. The volume of your voice may also be compromised. All the above problems make it hard for speakers or singers to properly be heard and are asked to constantly repeat what they are trying to say, which can be frustrating to both the speaker and the listener. 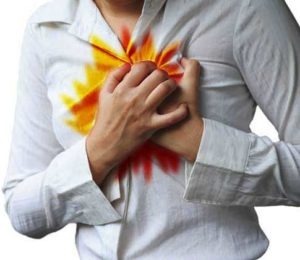 NOTE: Acid reflux can hurt not only your throat and vocal cords; it can also (in heightened cases) injure your lungs and other organs – including the heart. Heartburn – a Burning sensation that sometimes spreads as far as the vocal anatomy. What can be done about acid reflux that affects one’s voice and overall health? Our approach to dealing with acid reflux is revolutionary, holistic and non-surgical, as this method of instruction and treatment gets to the root of the cause, rather than treating solely its symptoms. We will employ our revolutionary approach to voice mechanics by lifting your voice off of your vocal box and restructuring it into your set of facial muscles and then putting those facial muscles to work in full conjunction and coordination with your abdominal muscles, thus, minimizing the use of your throat, larynx and vocal cords. While the above is taking place, we will simultaneously administer specially chosen natural herbs and remedies which will soothe & heal the throat/vocal cords while minimizing the pain from the effects of the acid reflux. Combining the two points above will ensure the protection and longevity of the acid reflux sufferers’ vocal anatomy (throat, larynx and vocal cords). This method will also instill a newly-revised form of voice usability which is totally applicable to professional speaking and (if needed) singing. 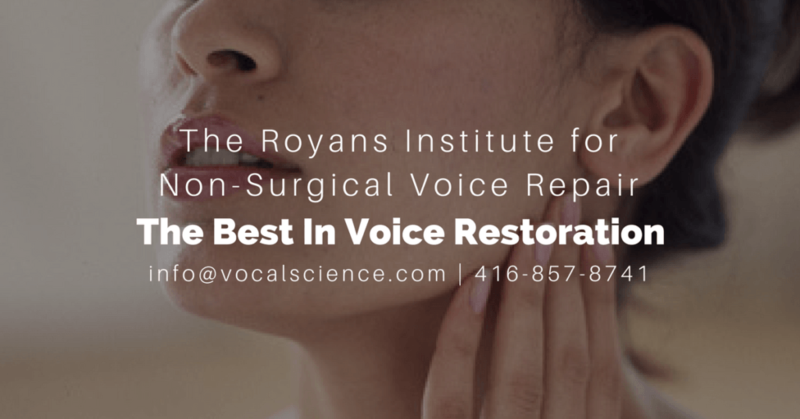 We guarantee that you will be solely impressed with what we can do for your voice and overall health with the use of our unique Non-Surgical Voice Repair Treatment.